Chapman University is a State Bar of California approved MCLE provider and certifies that this activity has been approved for MCLE credit in the amount of 4.5 units of MCLE credits. The future of the legal profession in the United States is at a crossroads. Although the field of law has rebounded from the economic turmoil that began in 2008, the nature of legal work has evolved both from necessity and from innovation. The use of alternative fee arrangements, multijurisdictional practice, the expanding role of paralegals, and efforts by nonlawyers to invest in law firms, all signal change in the profession. We add to that mix, legal vendors such as LegalZoom, Avvo and RocketLawyer who have disrupted the industry and changed client expectations, while increasing the risk of the unauthorized practice of law. Bar associations, academia, and practitioners across the country are examining what the future holds for the practice of law in the United States. What is the role of the unauthorized practice of law in a multijurisdictional world? Will technology make lawyers more productive, or displace them in electronic discovery? Can the legal profession find new ways to remain competitive in a rapidly changing marketplace? 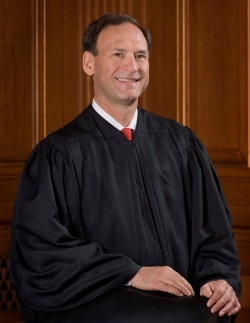 Keynote Speaker: United States Supreme Court Justice Samuel A. Alito, Jr. The Honorable Samuel A. Alito, Jr. will present the keynote speech at the annual Chapman Law Review Symposium.